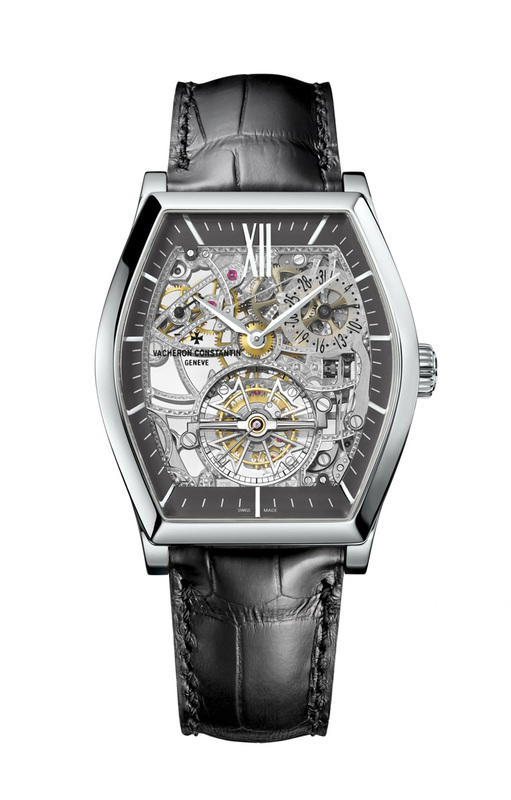 In the nineties until several years ago Vacheron Constantin excelled at creating skeletonised, complicated timepieces. Utilising the cal. 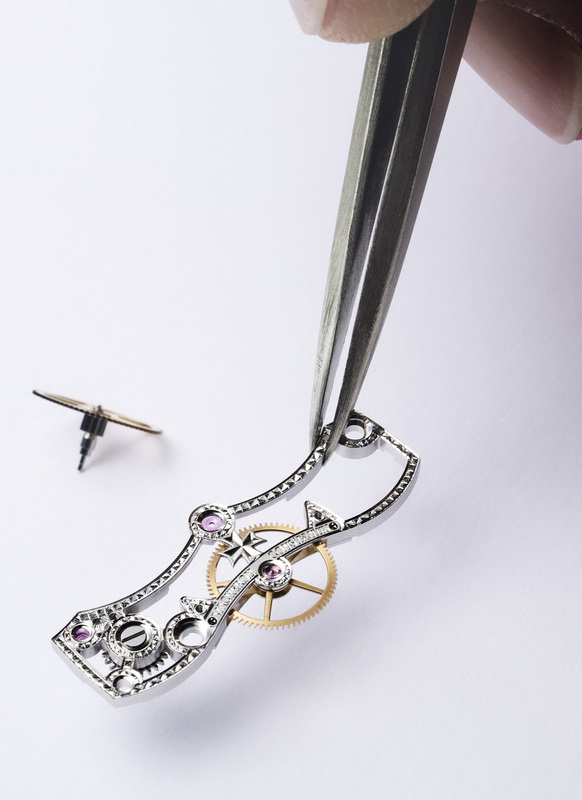 2790 SQ, which has been delicately skeletonised and then intricately engraved, the new Malte Tourbillon Openworked revives that tradition in grand style. 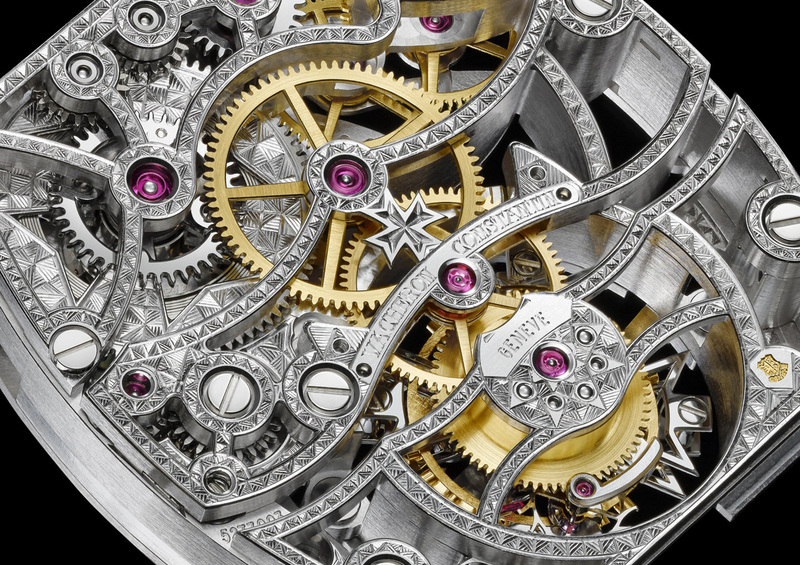 The new Malte Tourbillon Openworked is the second generation of the model, the first having been discontinued several years ago. 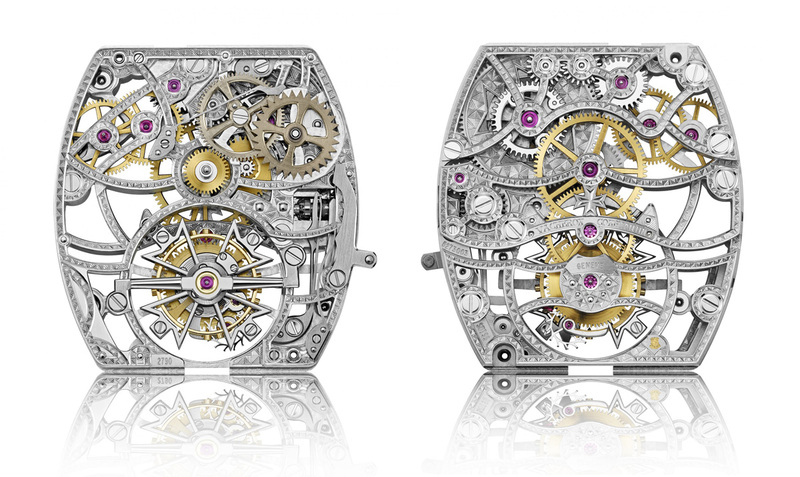 Though similar in form, the new Malte Tourbillon Openworked is substantially different. For one, the case is larger and longer, with straight lugs instead of the flared lugs of the earlier version. 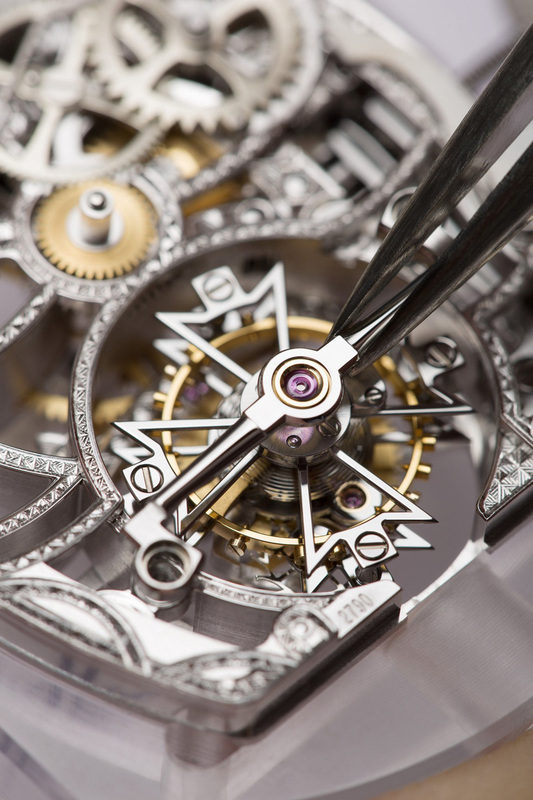 Though the movement is mechanically identical to the standard Malte Tourbillon, the skeleton version requires significantly more work, and is correspondingly more impressive and beautiful. The bridges and other major parts of the movement have been drilled and cut out, reducing it to the bare minimum necessary for structural integrity. 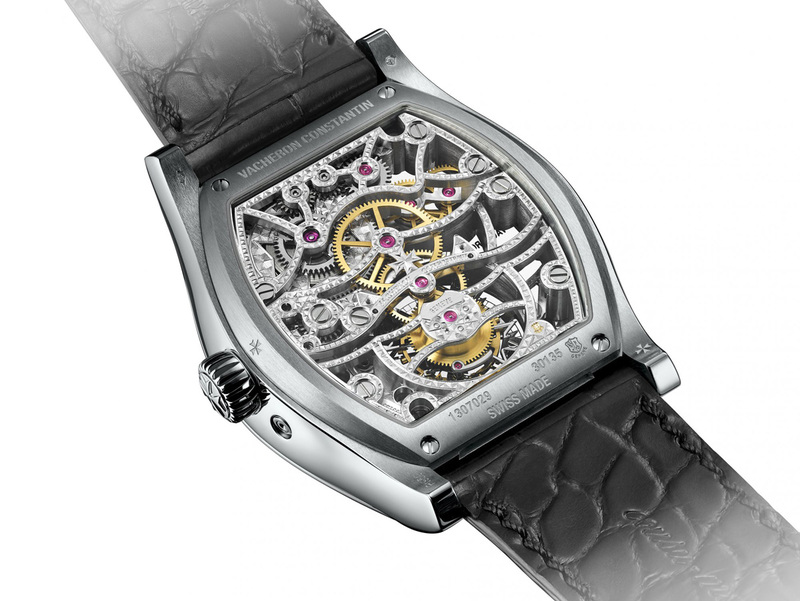 And what remains is engraved by hand with a geometric motif based on the triangle. 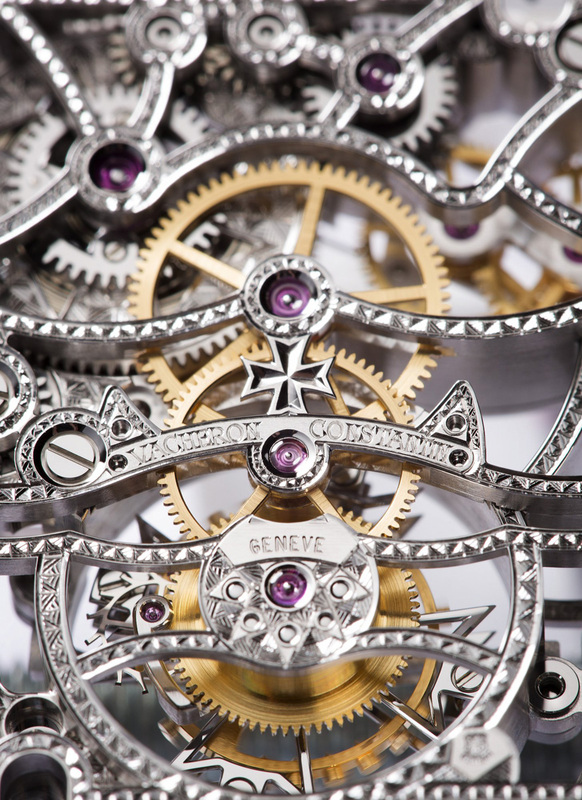 This motif is slightly more modern than the floral decoration used on earlier Vacheron Constantin skeleton watches. 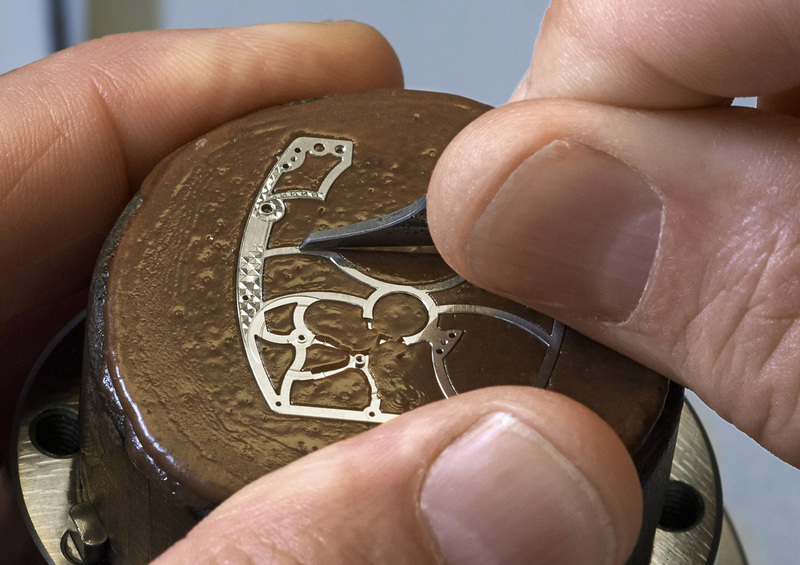 Because the engraving is done by hand, for the bridges, base plate and barrel, the process of engraving alone takes almost a week. 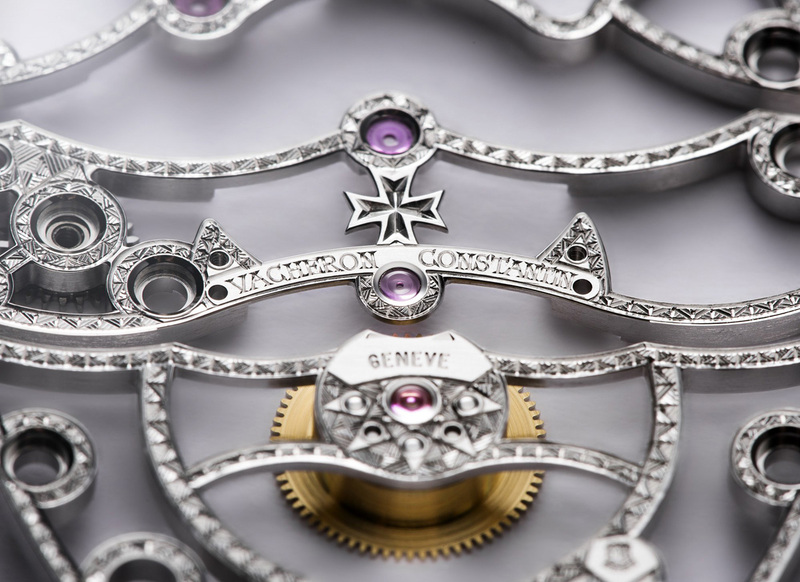 Subsequently, assembly of the components calls for more care and skill than for a non-skeletonised calibre, because the process of engraving will distort the form of certain parts. This calls for careful adjustments necessary to bring the components in questions back into shape. 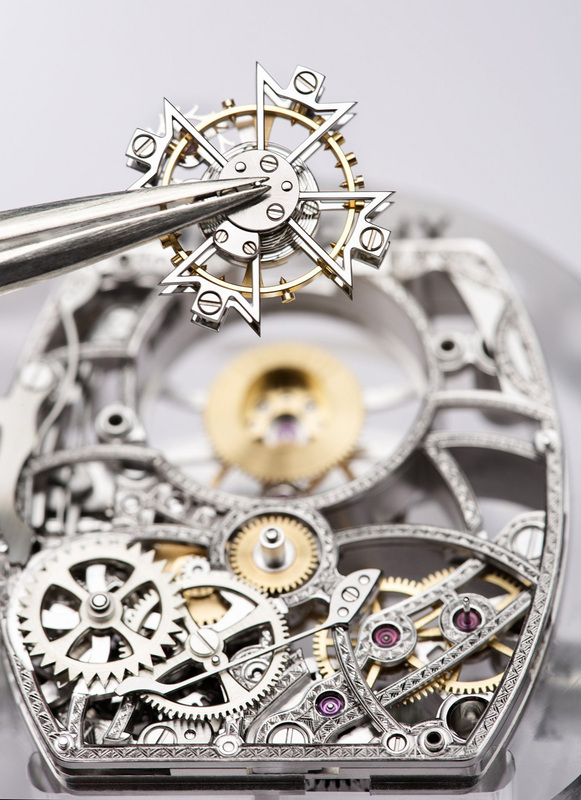 As with all high-end Vacheron Constantin timepieces, the Malte Tourbillon Openworked has the Geneva Seal. 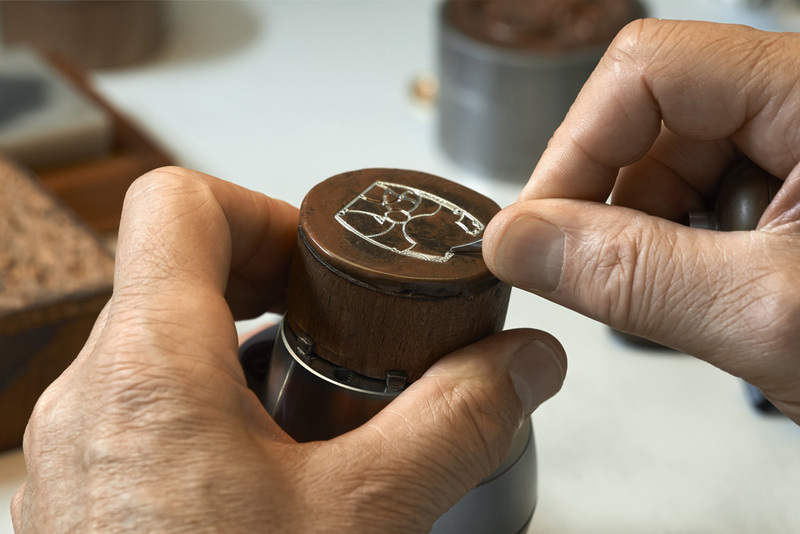 Beyond the engraving, every part is also carefully finished, demonstrating Geneva Seal requirements like bevelled edges, drawn flanks and polished countersinks. 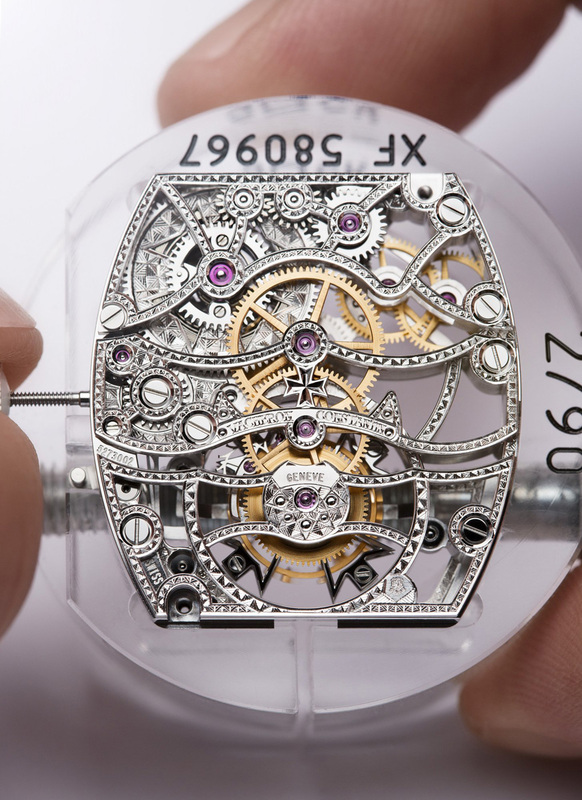 The 2790 SQ is manually wound, with a short 45 hour power reserve. 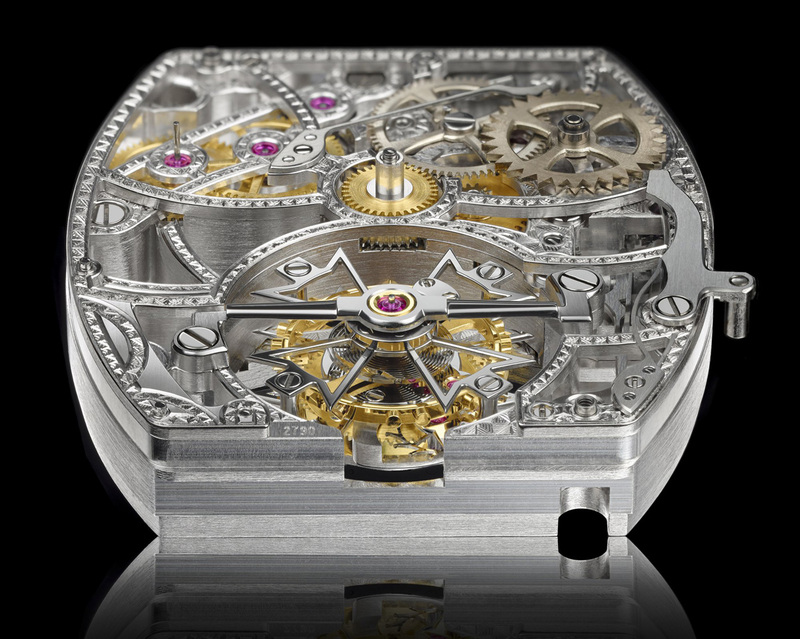 The platinum case measures 38.00 mm by 48.24 mm, and stands 12.73 mm high. 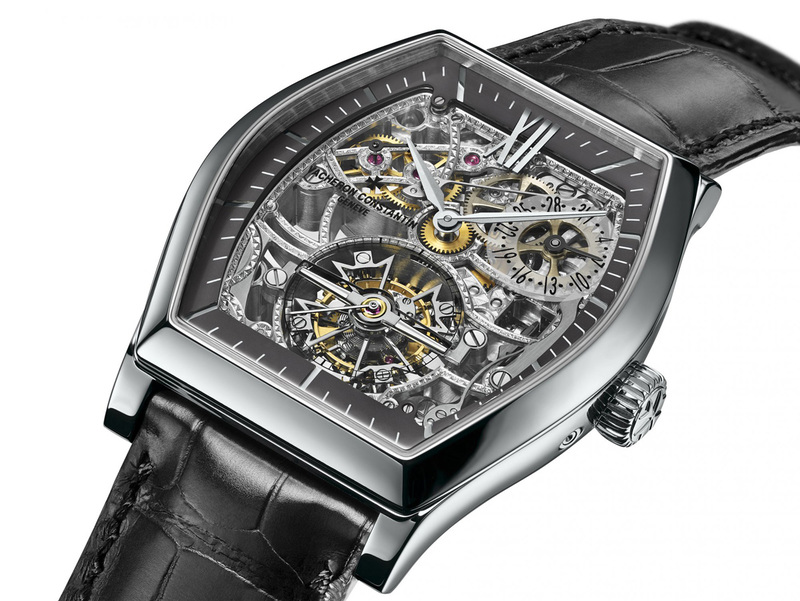 The Malte Tourbillon Openworked retails for 367,000 Singapore dollars, or about US$287,000.